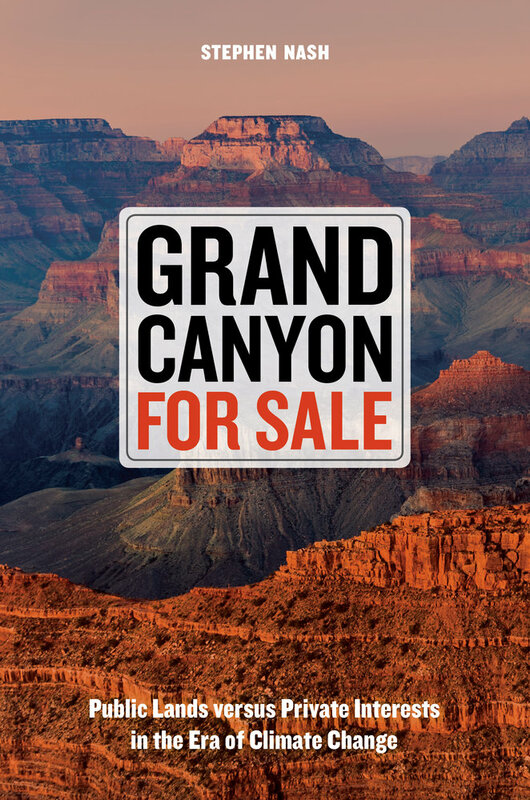 The current political administration in the United States has raised into question the future of our public lands. 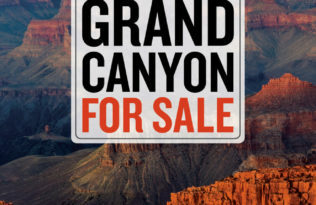 Given the continued discussion over the ownership of national parks and monuments, the below excerpt from Grand Canyon for Sale: Public Lands versus Private Interests in the Era of Climate Change, is both timely and informative. This faint old path isn’t on the brochure map, but it leads to a fine perch just the same. 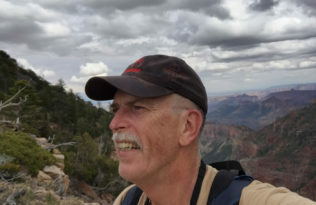 Moving past the car choreography and selfie poses at the popular Desert View area near the eastern border of Grand Canyon National Park, I find my way on a late afternoon. Crumbling pavers end in a trace that weaves through rabbitbrush and juniper and over to a suitable rock, right on the abyss. No glance out there yet. I don’t want to risk vertigo until I’m settled. Then, with a beer and a bag of salt peanuts, I can drift out over two billion years of geology, a hundred centuries of human striving, and a timeless void. Anywhere you pause along the hundreds of miles of edge brings dizzying contrast. The infinitesimal meets the cosmic, as a cliff swallow careens against far-off rock and sky. The immediate—check your foot-ing on that limestone grit, there’s a long fall pending—opens abruptly onto silent eons of cycle and revision. Another contrast: under a longer gaze the wild and timeless look of this panorama bears the lasting marks of recent human activity. They are the destinations of this book. As we head into its second century, few would disagree that we want the park system to fulfill its mandate to preserve nature. 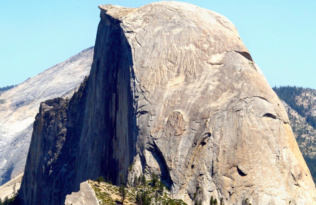 “The core element of the national parks is that they are in the perpetuity business,” as Gary Machlis, science adviser to the director of the Park Service, told me. “The irony is that our mission is to preserve things in perpetuity, and we do it on an annual budget and a four-year presidential cycle.” The natural systems of the parks, he said, represent an island of stability—as long as we protect them and plan well for their future. The centenary of the Park Service has just passed, along with some well-deserved national self-congratulations. Perhaps this would be a discreet time to say that the parks’ natural systems are, in the estimation of many scientists, falling apart. In that view all public lands need long-term life support, beginning as soon as we can pull it together. We’re on a precipice, both politically and biologically. 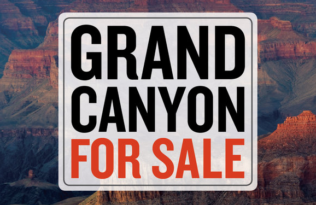 Read more from the author in a recent article, ‘At Bears Ears in Utah, Heated Politics and Precious Ruins,’ on the New York Times website, or check out his website to learn more. Join Us and Get a FREE Book at American Sociological Association Conference!